One of the most important aspects to think about for your home or business above all else is your security and that of your assets, valuables or property. If a reputable and professional locksmith Birmingham is what you are looking for to enhance your home or business security, Local Expert Locksmith is by far your best option. Response is swift, service is affordable, and satisfaction is guaranteed, you can always rest assured that you have someone to call whenever you have a locks, keys, or general security concern. One of the most important aspects to think about for your home or business above most other things is your security and that of your assets, valuables or property. If a reputable and professional locksmith is what you are looking for to enhance your home or business security, Local Expert Locksmith, is by far your best shot. Response is swift, service is affordable, and satisfaction is guaranteed, you can always rest assured that you have someone to call whenever you have a locks, keys, or general security concern. Our locksmith Birmingham covers all of the West Midlands (we also have a branch in Bristol, called The Locksmith Bristol), including Locksmith Solihull, Locksmith Dudley, Stratford upon Avon, we can provide a locksmtih Coventry, Locksmith Wolverhampton and Locksmtih Walsall. So wherever you are in the Midlands, give us a call today. We understands that when you need help, you do not have all day to wait for a technician as you may have other equally important business to attend to. And so we don’t want to keep you waiting. This is why we have a large team of expert technicians at Locksmith Birmingham are always on the go with our tools of the trade. Stationed at various strategic points and our offices throughout the area, Locksmiths in Birmingham have mobile locksmiths waiting to serve you efficiently. They are well equipped with skill, tools, hardware, accessories and any other item that may be required to get your problem solved with ease and efficiency. If you ever need a competent team of professionals when you have an issue with your security systems and locks at home or commercial property, we are the firm to give a call. Birmingham Locksmiths don’t take chances with the security of our clients, and that’s why we’re always on the move. Our emergency hotline is always open 24/7 as well as our customer support extension and operations department. Whichever time of day or night you call, there is nothing such as after work hours to us. 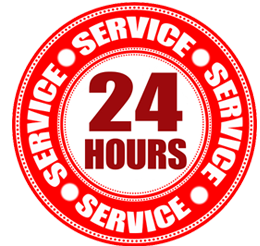 All hours are working hours and whenever you are encountered with an unpleasant security situation, Locksmiths Birmingham is highly reliable set you free from the stressful experience. Call us whenever you need the best emergency service. There are a number of reasons why you might require changing your locks. Either the one currently installed on your windows or doors are faulty, compromised access, or is damaged. You might also have the idea of upgrading your security by installing new high-security locks such as our anti snap locks. All the hardware we use is obtained directly from the manufacturers, which are highly reputable security systems brands. Our lock changing services are highly affordable, with quite a number of diverse options you can choose for more security for your property. Another good example is when you’ve just bought a house and you want to move in as fast as possible. You can never tell for sure if the currently installed locks are not compromised or offer security guarantee. Furthermore, you might require having them changed in order to comply with the provisions of your insurer, just to be on the safe side if the unexpected ever happens. While the possibilities here are many, you can rely on us whenever you need your locks changed. Sometimes keys get displaced, left at work, or lost. In such a situation, you cannot gain entry to your house or even your business premises. Being stranded outside can be dangerous if it’s at night, or its raining, and can even lead to loss of business when its commercial property we are talking about. Whenever you experience a lockout situation or even a lock-in, do not hesitate to seek assistance from the most caring, affordable, and professional locksmith. We will get you in within minutes, at all costs trying to stick to non-destructive approaches. When there has been a break in and you call us for assistance, we, first of all, express our gratitude for the happening, and then dedicate ourselves to offering you a long-term solution so you won’t probably see a repeat of burglary on your property due to faulty security locks again. Our burglary repair services include fixing your security locks and automatic systems that might have sustained damage from burglars trying to gain entry and upgrades for even tighter security measures. We are a highly professional team of technicians is made up of experts in the trade with many years of experience. They have been selected from a pool of the best and most professional technicians who are certified and of high integrity. We send people we trust without company to you and so you never have to worry about damages or security threats of any kind. uPVC for doors sometimes jam such that you can’t unlock the door depending on whether it’s in the open or locked position. Most people are ill-advised that they should replace the door when such a situation occurs, but fixing can be far much cheaper and faster. But it takes a professional like us to handle jammed uPVCs, something that our UPVC specialists can handle for you at a small price. Some symptoms of jammed uPVCs include loose handles, locks becoming harder operate the door has to be lifted to allow locking. We can help you restore your door to super working condition as opposed to buying a new door. 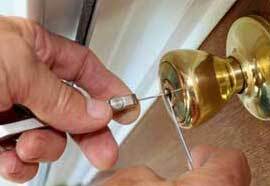 Most burglars gain entry to the property by snapping locks, especially those that use the euro cylinder. They do so by applying a huge force at the point near the lock cylinder, which is referred to as lock snapping. This has been a great problem in the past, but thanks to innovation and the high-quality hardware we have in stock, we are the here to look for if you need the more secure solution using Anti snap locks. With these professionally installed, a burglar won’t be able to gain access to your door easily, and to make it even more secure, we can help install alarm systems for you. Our alarm systems are the best quality and they get activated as soon as a certain amount of force is used on the door, other than the ordinary. Call us today for affordable security upgrade using anti-snap locks and protect your property from criminals. Sometimes you may try to gain entry to your door, windows or the like, only for your key to break inside the lock. In such a case, you are left-handed and the lock is as good as spoilt. While this might, or might be a big emergency, you still need the broken piece of key extracted from your lock and the locks repaired if they are damaged. Depending on the particular brand of the lock, sometimes they become faulty on their own, such that it won’t close or open. Especially for the higher quality expensive lock types, it can be more cost saving to have them repaired other than to consider installing a new one. When this happens to be your case and you come from one part of the greater Birmingham, we are the professional service providers to call. Additionally, we don’t leave debris behind after servicing your security, unless of course, you prefer we do. There are those valuables that you consider some of your most adorable treasures. It can be documents, jewellery, medals, keepsakes, drawings, accessories, cash or other personal items. While there are service providers available for storage of such valuables, you might not find it convenient to be walking all the way to your safe away from home whenever you need to use your valuables, display them to a visitor, or even have a glance at them from time to time. Most people like having a safer vault at home where they can keep their most treasured items to enable them easy access whenever they need to. However, it might not be the best idea to have a safe or vault whose locks don’t guarantee safety. Sometimes the locks that came with the safe or vault may fail due to long-term use, or the vault may sustain damages in the event that someone was forcefully trying to gain unauthorised access. We also specialise with a wide array of safe locks and keys, including the higher-end technology for digitised safes that are connected to alarm systems and CCTV cameras. 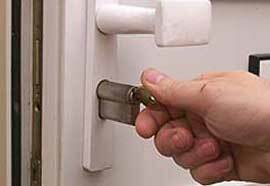 If you need your safe locks changed, repaired, or troubleshot, you can always count on our safe locksmith services in Birmingham. Additionally, we can supply and install safes for both residential and commercial settings. Our safes are made from high-quality material and lock systems with fire protection and theft proof. There is a huge variety of sizes, designs to choose from, just in case you want to introduce the aspect of décor in your property. 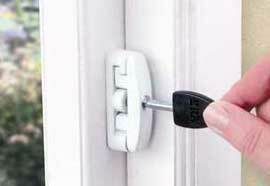 One of the most important parts of your home as far as security and insurance are concerned is the patio doors and windows and as such, your choice of locks and accessories can be determinant of whether you are to expect compensation in the event of a break in or not; depending on the particular policy you went for. To be on the safe side, it is important to choose the patio locks you have installed on your property wisely and have a professional help you with the installation. Our professionals take their time to advice you and educate you about the benefits of each type of locks not only for patios but for your entire property including safe locks, door locks and window locks. We take it as our great responsibility to advise our clients on the best quality hardware and accessories to use during locksmith projects for the best outcome. This is why we has a wide range of selection of hardware and accessories such as locks, handles, knobs, cylinders, padlocks, and night latches among others. These come in diverse styles and designs that the client can choose according to preference and advice provided. Our products are high quality and compliant with good security standards as well as insurance criteria. At Local Expert Locksmith, we grant the task to professionals in our team, who can advise whether you need heavy duty or light duty locks, whether digital locks are the safest in your case and a whole lot of other possibilities to ensure that your security requirements are not only met, but your expectations of price are exceeded. If you need your home security beefed up in Birmingham, Local Expert Locksmith is the firm to call. CCTV systems are an important aspect of every home or business owner, especially if you are suspicious that someone may be interested in breaking into your property or vandalising your assets. You may need to have access to watch your home or business premises while you are away on the go or you may also need to be revisiting the security clips just to things are in order. Additionally, we also specialise with installation and repairs of security grilles as well as composite doors, alarm systems and composite door locks as some of our security upgrade services you can depend on.